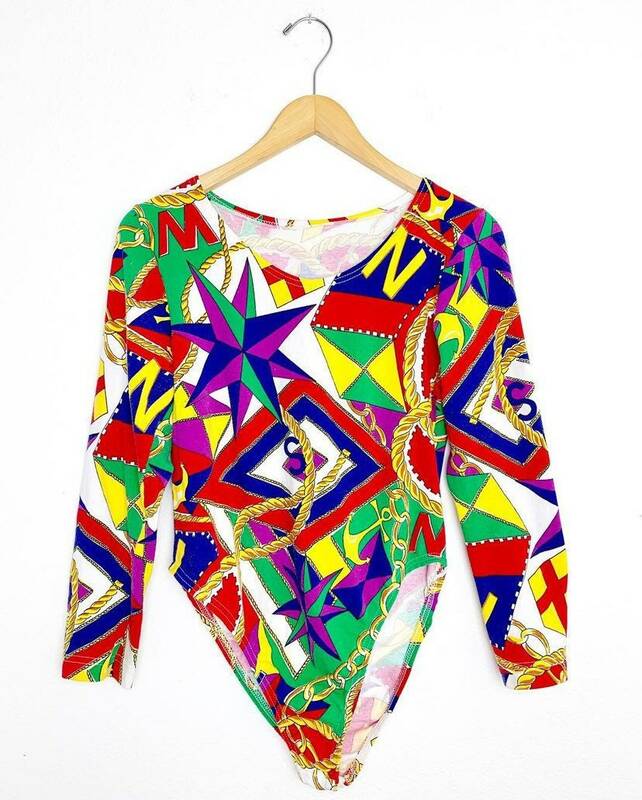 80s/90s stretch jersey bodysuit with a colorful sailing motif print. 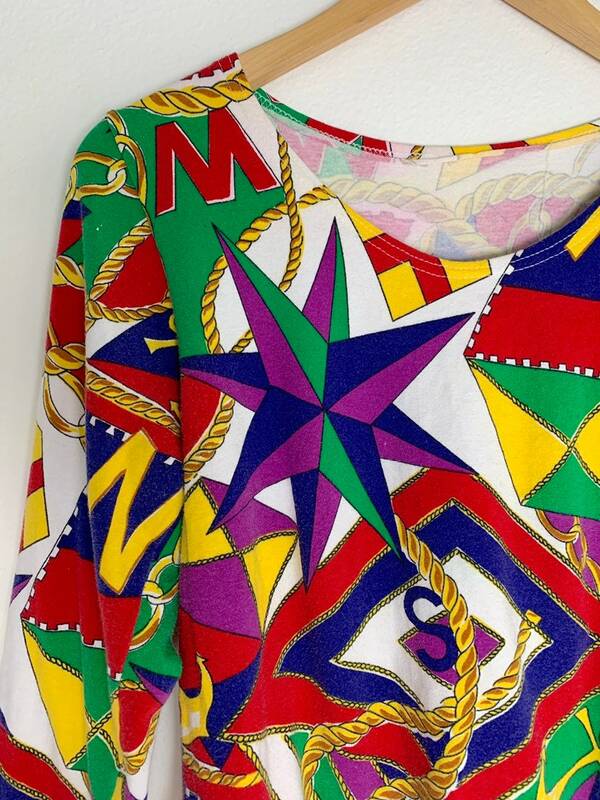 No make or content tag, but guessing it's a cotton/spandex blend. Snap button crotch. Measures 27" length, 32" - 48" bust, 31" - 42" waist, 32" - 46" hips, 14.25" - 19" shoulder to shoulder, and 20.5" sleeve length. Fits like a size L/XL. In excellent condition with no flaws to note!